We are excited to announce the launch of our new website! After many months of preparation, research, time and updates – we are happy to provide our customers and prospects with a website that offers simplistic design, easy-to-use functionality and new information about our Omaha services: web design, Internet Marketing, SEO, Web Hosting, Website Security and E-mail. As a leader in the Omaha web design industry, we strive to provide our customers beautiful and functional websites. Always putting our customers first, this launch took longer than anticipated; but we are thrilled with the result. Please be sure to browse and let us know what you think! case you haven’t seen it, we’ve launched a new advertisement – plastered on 4 Omaha-metro buses. Boasting over 19 years in business, our firm is deeply rooted in Omaha – as we serve many businesses and organizations of all sizes across the metro. It’s our hope that these bus advertisements will build our JM brand throughout the metro-area and serve as a reminder to those looking for our services. We cannot think of a better place to launch our latest marketing efforts, than an Omaha Metro bus. Its wide reach is unmatched, and it allows us to support a public system that provides economical and ecologically-friendly forms of transportation for all Omaha residents. If you see our advertisement while you’re out-and-about, don’t forget to drop us an email to let us know what you think! Banghart Diesel & Performance is not your typical auto repair shop. As experts in building their own engines, transmissions, fuel systems and drivelines – as well as providers of specialty outfitting of diesel powered pickups – Banghart needed a website that accurately portrayed their expertise and commitment to service. Banghart Diesel & Performance’s new website is built on a WordPress content management system, which provides the ability to update the website’s photos, content and blog. Additionally, the website also has a live chat system installed, allowing their expert technicians the ability to address questions instantly on the website. Moving forward, our Omaha web design and internet marketing team is partnering with Banghart Diesel to enhance its website’s search engine optimization (SEO) and improve credibility through keeping an updated blog. We are excited about this continued partnership and we look forward to seeing all the successes that will come. Northwest Nebraska Development Corporation of Chadron and Crawford develops and sells plots of land, stimulating economic and job growth. 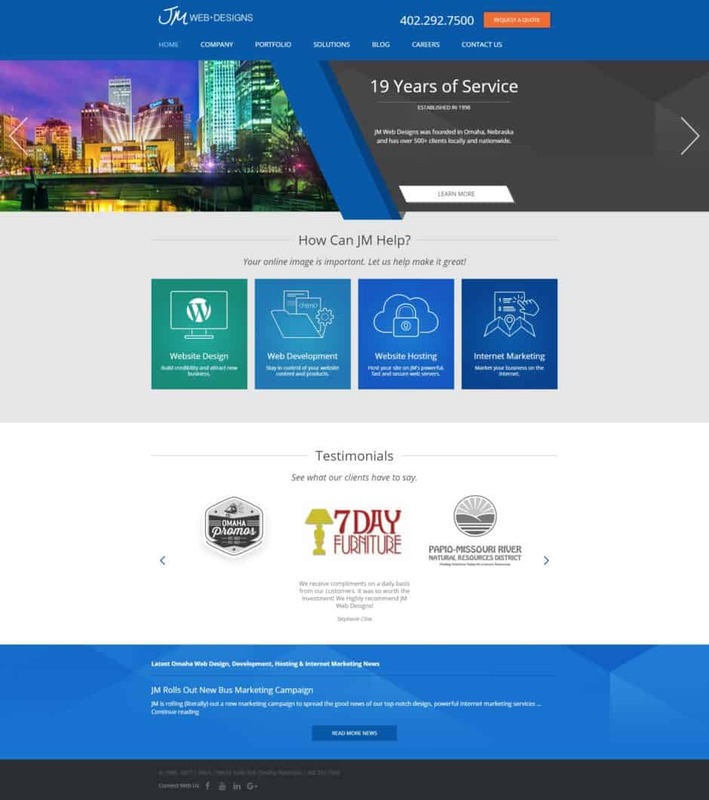 As an entity that seeks to provide information and education to local residence, NNDC needs a website with clean layout and functionality – as well as one that will be easy to update. This website was built on a WordPress content management system, which provides the ability for growth and easy updating on the part of NNDC. The website is also responsive and is considered mobile-friendly. Additional features include a custom google map on the homepage which syncs between Google and the website; as well as the Sites & Building’s page which includes a 3rd party software that embeds the development listing. Informational websites take additional planning for design and structure, and we’re grateful that NNDC chose JM to develop this website and look forward to working with them in the future! 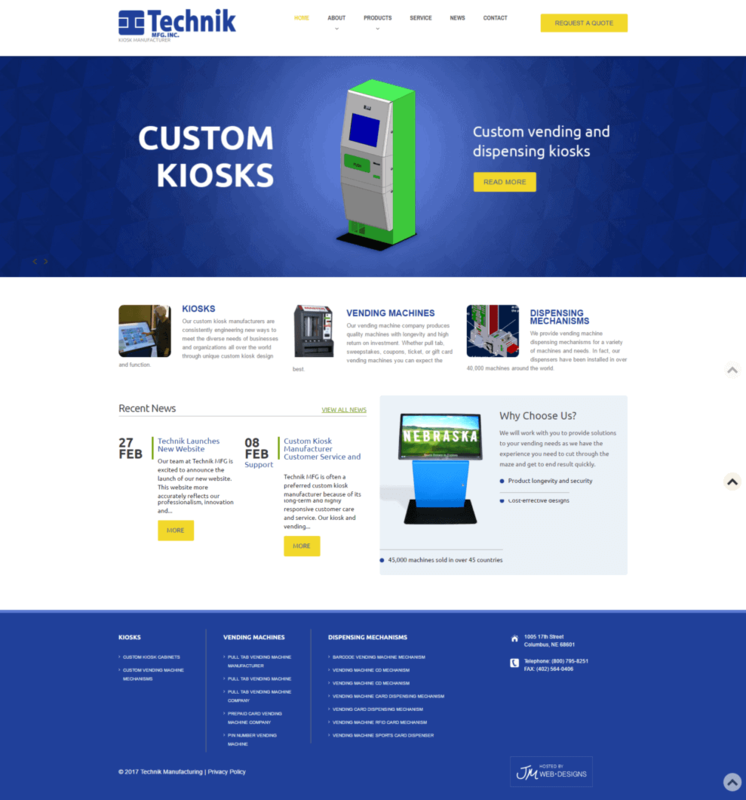 Technik MFG recently launched their second website with JM. Many years ago, JM built a custom designed website with a state-of-the-art content management system. Since then, technology has changed drastically and Technik’s new website more accurate reflects current trends and innovations. This new website is a pre-built WordPress content management system customized to fit Technik’s brand. This website features a clean design to showcase their products, and provides mobile-friendly technology for on-the-go users. Post-launch, our Omaha internet marketing and SEO team will continue to partner with Technik for success in the search engines. We wish great success to Technik with this new website and look forward to a continued partnership for their growth. It’s a new year! And as a business seeking online growth and success, consider resolving to keep your website blog more up-to-date in 2017. Many websites built by our Omaha web design firm have built-in blogs, which are easy to update. But finding the time to write and post articles… that can be a problem. Businesses’ want to keep their website blogs current for credibility and search engine optimization. Blogging provides an easy way to add new and relevant content for both customers/prospects and Google. Blogging once every six months leads visitors to believe the rest of your website is outdated. Educate customers, build rapport with prospects and prove to potential business clients that the information on your site is current and relevant by committing to blogging AT LEAST once a month. When done strategically, blogs can also assist in adding SEO value to a website. By thoughtfully adding keywords into a blog’s content, categories and tags, it adds value to your website. 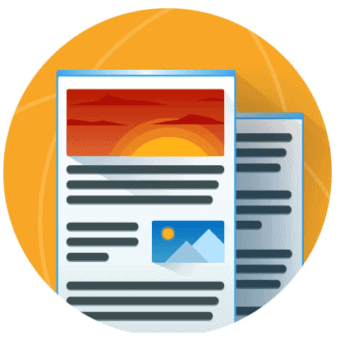 Though technology is constantly changing, Google stills likes to see new, relevant content on websites. Commit to a schedule in this new year. And if you can’t stick to it… our Omaha SEO service offers monthly blogging. Call 402.292.7500 ext 102 for more information.